Black Bear Farms Peach, Blueberry & Black Currant wine with dessert. 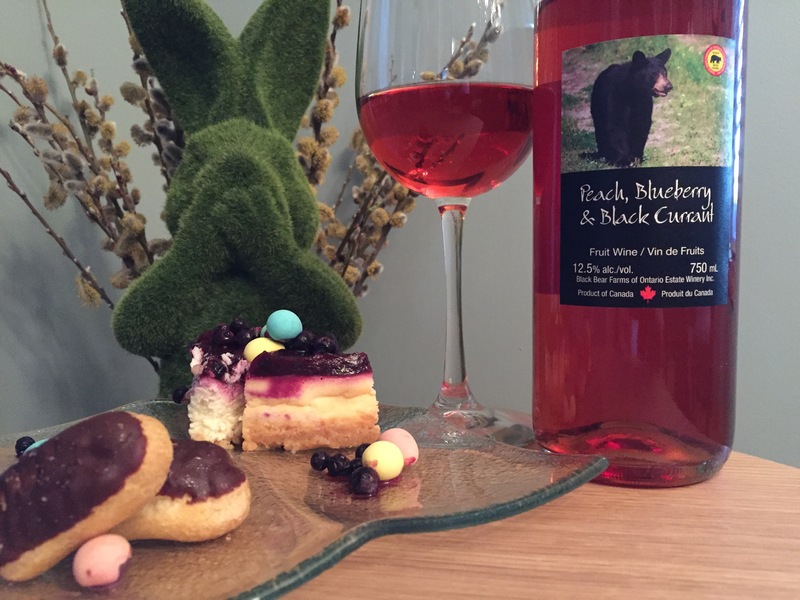 Kick it up…serve Bronze medal winning Black Bear’s Peach, Blueberry & Black Currant fruit wine!! Blueberry Cheese Cake and Mini Eclairs. Black Bear Farms Peach, Blueberry & Black Currant wine. This is a fun blend of our peaches, blueberries and black currants. It has a nice sweetness that you can enjoy with friends and family.